Kalank movie: Kalank is one of the dream projects for producer Karan Johar, as his father Yash Johar last worked on this project. The highly-anticipated films has released today and is creating a lot of buzz on the Internet. Here is a list of things you must know about the film. 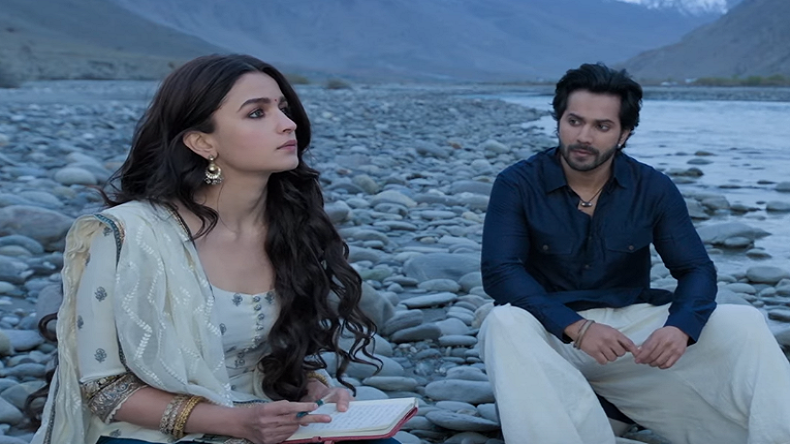 Kalank: Abhishek Varman’s film Kalank is one of the highly anticipated film which has hit the silver screens today, April 17, 2019. The film stars Alia Bhatt, Sanjay Dutt, Varun Dhawan, Aditya Roy Kapur, Sonakshi Sinha, Madhuri Dixit in lead roles. The film centres around a love triangle between Zafar played by Varun Dhawan, Roop played by Alia Bhatt and Dev Chaudhary played by Aditya Roy Kapur. Before heading to theatres here’s everything you should know about the film. Bollywood actor Sanjay Dutt will play the role of Balraj Chaudhary in the film. Both Sanjay Dutt and Madhuri Dixit has shared the screens many times earlier, however, Kalank will mark as their reunion project as the talented actors will be seen on screens together after 20 years. In an interview, Sanjay Dutt revealed that it indeed is a pleasure to share the screens with Madhuri Dixit after so many years. He also revealed that with time, she has got that command as an actor and which is certainly good as an actor. To work with the beautiful lady is amazing and he enjoyed every element of shooting with her. Kalank is one of the dream projects for the producer Karan Johar as his father last worked on this project some 15 years ago. Immediately after Kal Ho Naa Ho in 2003, Karan Johar wanted to take this project forward but unfortunately, because of some reasons he couldn’t do that. Karan Johar also revealed that it was only Abhishek Varman who understood his feeling attached to the film and further took up the responsibility of taking up the project. So, Karan gave the film to Abhishek to take it forward. Talking about the sets, it is said that the sets of the film certainly give you a glimpse of Sanjay Leela Bhansali’s films. It took three months just to create the sets of the film which can contain more than 1000 people at a time. The larger than life sets included everything, starting from palaces, monuments and temples. Moreover, the traditional outfits of the star cast also showcase the royalty and elegance of the Kalank’s world. Karan Johar’s dad Yash Johar wanted Shah Rukh Khan to essay the role of Zafar in the film. However, with time certain changes were made with the storyline and the characters of the film and Varun Dhawan was finalised for the role. Varun Dhawan also quoted that he tried to bring his element in the role of Zafar. Not only this, during the trailer launch, Shah Rukh Khan appreciated Varun Dhawan for his choices regarding the films that often brings him more close to his fans. The director and the producer of the film have used the classical flavour in order to add more royalty in the film. Songs like Ghar More Pradesiya and Tabaah Ho Gaye featuring Alia Bhatt and Madhuri Dixit placed the film onto a different level.